On a recent episode of The Chew, Daphne Oz and Mario Batali had a chicken wing cook-off, and after seeing Daphne’s ingredients (and that hers were baked), I had to try them right away. Needless to say, they did not disappoint. I love the fact that the marinade on these babies caramelize while baking, which makes them a bit crispy. Oh, and the dipping sauce… yummy!!! Since I’m a huge fan of anything sweet, the sauce was perfect for me, but if you’d like it with a little more twang, reduce the half cup of honey by a couple of tablespoons (1/2 cup = 8 tablespoons). 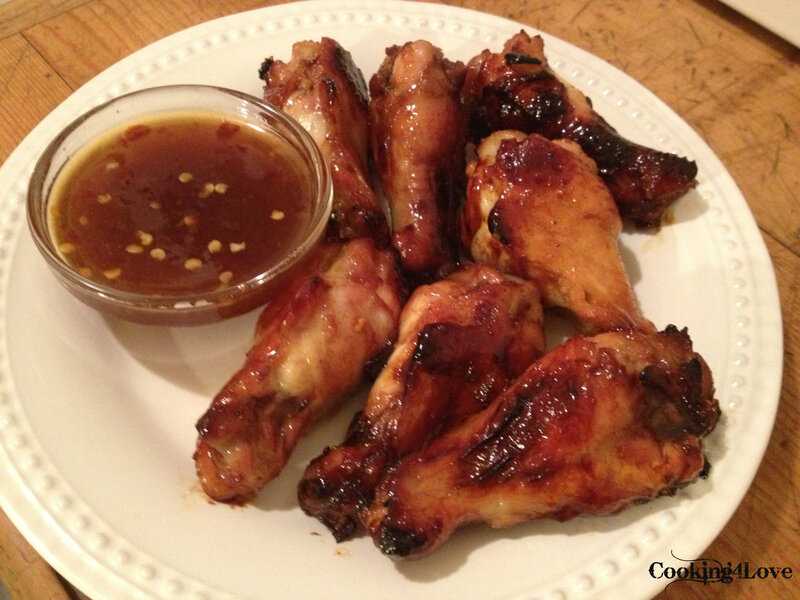 Combine all the ingredients for the drumettes in a bowl and toss the wings to coat. Place in the refrigerator and marinate a minimum of two hours and preferably over night. Preheat oven to 425 degrees. Remove drumettes from the marinade and season with salt and pepper. Spray a baking sheet with cooking spray and arrange the drumettes so they are not touching. Brush generously with the leftover marinade. Bake in the oven for about 40 minutes, or until deep golden brown, rotating the tray half way through and flipping the wings over. While chicken is baking, combine all of the dipping ingredients and whisk together. Serve the drumettes with the dipping sauce. Shown with my guiltless blue cheese dressing. 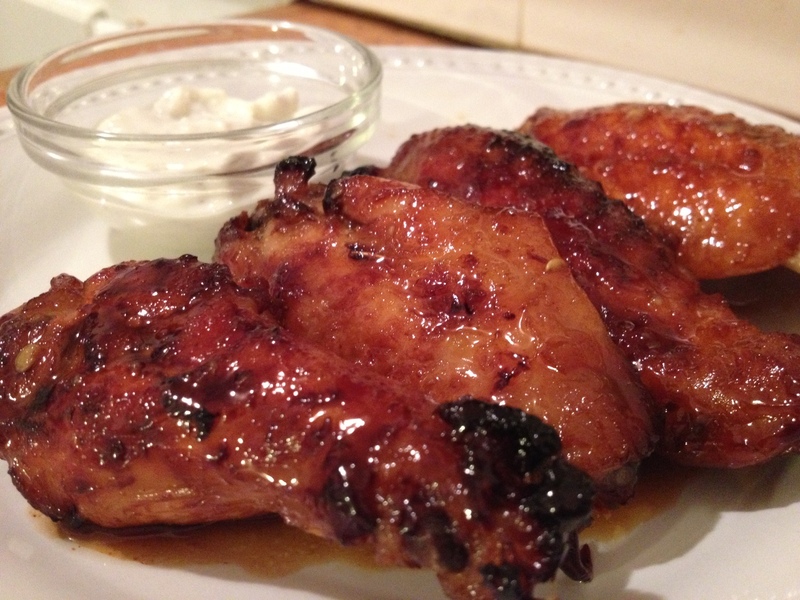 This entry was posted in Appetizers, Chicken, Main Courses / Dinner, Recipes and tagged baked, chicken, chili paste, crushed red pepper, dijon mustard, honey, rice vinegar, soy sauce, Spicy, sweet, sweet & spicy, wings. Bookmark the permalink.